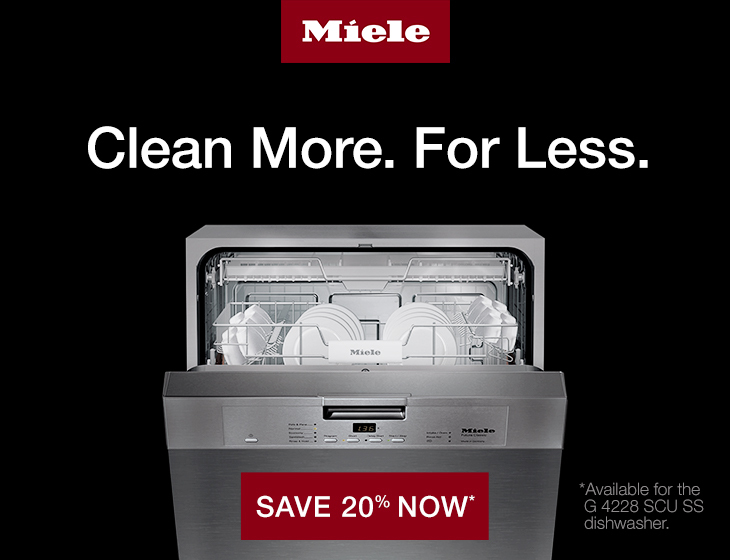 For a limited time you can receive 20% off a Miele’s G 4228 SCU SS model dishwasher. Miele dishwashers are tested to the highest of standards, and the results are clear! You can read more about why I love a Miele dishwasher here. The model that is on sale is a little different from the one that is discussed in the blog post but you will get the basic idea of all that a Miele dishwasher has to offer. And the best part is right now you can take 20% off! It’s time to shop and get excited about sparkly clean dishes! And for those who already own a Miele dishwasher, let us know what your favorite feature it? And do you need salt or dishwasher tablets? Did you know we also carry accessories for your dishwasher!